Amsterdam is famous for many things which makes it a fascinating place to visit, and a popular one too. One thing many don’t know about Amsterdam, however, is that it has a multitude of museums. These, however, are not only about art and history – there are some truly weird ideas and heart breaking historical sites that will make a visit to this wonderful city complete. Here are my top 5 museums in Amsterdam. 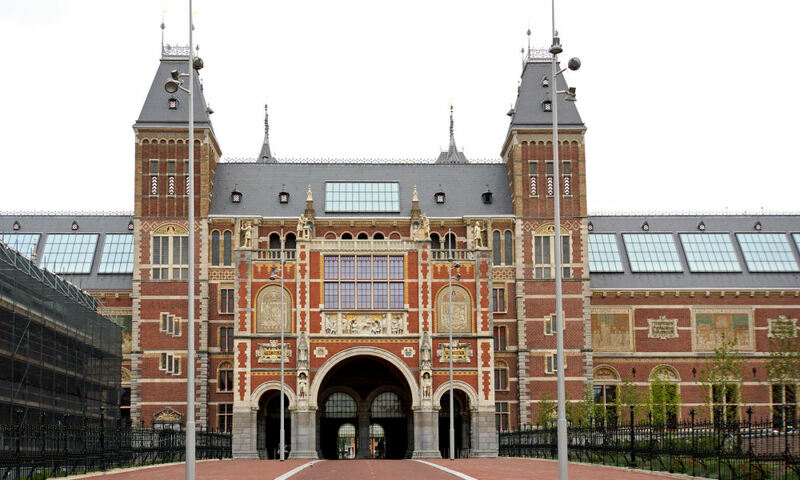 The Rijksmuseum (or State Museum) is probably the most famous of all Amsterdam museums. This is the museum that defines the city, laying out the history of the place. It was first opened in 1800 (although it wasn’t until 1885 that it moved to its current stunning building) and has been wowing visitors ever since. The Rijksmuseum contains some famous works including Rembrandt’s Night Watch, and paintings by Vermeer, Van Dyck, and Jan Steen. This truly is Amsterdam as art. The museum is open 365 days a year. Vincent Van Gogh’s unique painting style has captivated millions of people over the years. Now you can visit one building in Amsterdam and have the chance to see over 200 paintings and more than 500 drawings by possibly the world’s most famous artist. Not only that, but there are also exhibitions detailing his life and death, as well as rooms dedicated to his contemporaries. Check out the Van Gogh Museum. The Anne Frank House is a ‘museum with a story’, and it’s a story that everyone should be aware of. Tragic and fascinating by turns, this is the actual house in which the Frank family hid from the Nazis for two years, until they were betrayed. This museum is filled with memorabilia from the time, enabling visitors to understand more about what the family – and others in Amsterdam and across Europe – went through during World War II. This grand, one time residence, has been home to many notable Amsterdam figures over the years, including Sandrina Holthuysen. When she died, alone with her cats in 1895, her house was found to be absolutely packed with strange and wonderful pieces of objets d’art that her late husband had collected over the years. Now their home is a museum to house all the incredible paintings, ceramics, silverware, glass, and furniture that was left behind after a lifetime. There are also beautiful gardens behind the house which are a bonus for visitors. Check out the Museum Willet-Holthuysen. The Museum of Bags and Purses may sound odd, but it is actually a brilliantly enjoyable collection that starts back in the 17th century with leather pouches, and romps through to the present day, with every conceivable bag and purse designed fitted in between. There are around 4,000 different items to see in this canal house museum, as what started as a fun private collection soon became too big for its origins. There is a good café too, so you can rest your feet after exploring how the world has changed through its fashions. Book a mini cruise to Amsterdam.